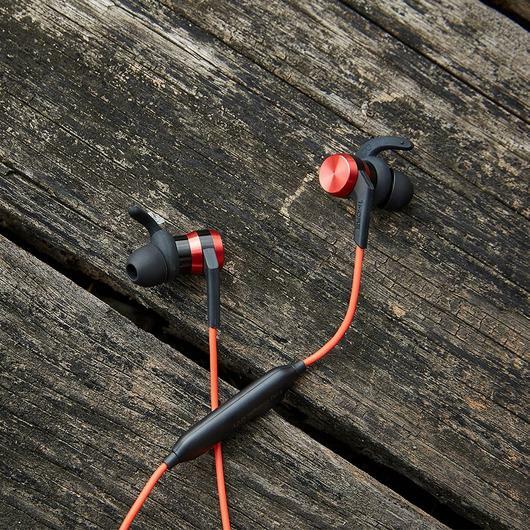 1More iBFree Earphones Review - Supports Qualcomm's AptX Sound Codec. Recently we received the 1More's iBFree Bluetooth earphones for review in our labs. Generally, we have been testing quite a lot of headsets lately and looking at the fact that these are 1More's first entry into the wireless ecosystem of earphones, it excites us. The company has been on a string of producing quality earphones, and this is a result that they have managed to build a brand in the saturated and robust ecosystem of significant earphone makers. To make it clear we have done a couple of headphone reviews here on our blog, and we're always looking forward to reviewing more, especially the Bluetooth ones. Surprisingly the 1More iBFree come with Apt X codec support, which enhances the overall lossless coverage. As a bonus, it's even water resistant. We have used these earphones for well over three months and here is the dedicated review of the 1More iBFree Bluetooth earphones. Speaking about the visual aesthetics, the 1More iBFree usually check all the check marks for any typical user. 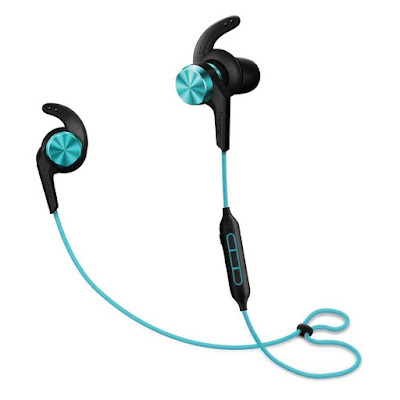 The comfy neckband style, plastic, and rubber built are some of the appealing points resembling its design which is a lot suitable for users, the day of whose strongly relies on intense workouts. The provided ear tips and ear-fins snug in tightly within the ears, provided you use the correct pairs fitting your ear size. However, as we move down through the cable, we can find the In-Line mic remote, the design of which seems useful but somewhat clumsy in my opinion. The flap that reveals the Micro USB 2.0 port is hard to access almost every time, and i usually found myself using a pin or a sharp object to untuck the flap. But I guess this also stands as a significant point when it comes to Water Resistance, though I'll give them credit for that. Although i wish accessing the charging port was a tad bit easier. The buttons provided on the remote are also a tad bit mushy, however once you get used to it the functioning will be a breeze. On the contrary, swapping the ear tips and ear-fins is easy, and there's no need for hassle here. The cable which is about m long is quite rigid, and it would easily survive rough and tough usage. Superior sound quality is typically the most astounding expectations of any user buying an earphone, most cases in which it doesn't matter how the device feels or looks. But it matters how well does it sound?. So to validate that statement, I did use these earphones as my daily drivers for about 2-3 months, and in that usage, I did run out on exciting conclusions as I had tested them in the different environments. The vocals sounded crisp, so does the highs and lows. I enjoyed its low-frequency response as it was amazing to listen to the minute details of the chords that were played on several soundtracks. However when it comes to hearing bass-heavy soundtracks, I was disappointed, but I was able to achieve somewhat suitable environment after playing within the EQ settings. During my busy day, these earphones were staying up to the mark. However, these were not quite capable of holding or providing an accurate level of active noise cancellation support while traveling through the local trains. I used them during my workouts, but it wasn't producing the bass-heavy output due to which it soon got ditched from my day to day usage. I preferred using the Brainwavz BLU 200 or Infinix Quiet 2 Earphones in its place, which I hadn't planned on using until I would complete my review. Speaking about the battery life, I was able to get about one day of juice on casual usage, while about 6-7 hours of backup on non-stop music playback which is relatively an intense usage. The three buttons present in the In-Line mic remote are quite helpful as they can be used to trigger several functions for music playback. So overall I've mixed feelings about it audio performance. 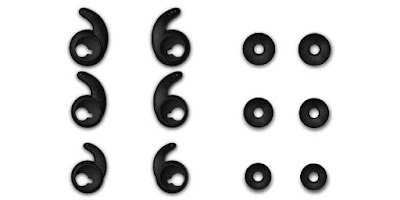 There are three extra set of Silicon ear tips, & Ear fins. You will also find a Micro USB cable present inside the box. It comes with one year of warranty, make sure to keep the warranty card safe. Standby time is 240hrs, Talking time: 10hrs, Music Playback: 8hrs, Charging time: 2hrs(5V/1A). Bluetooth 4.1 & AptX Audio codec support. Wireless connectivity up to 10m. 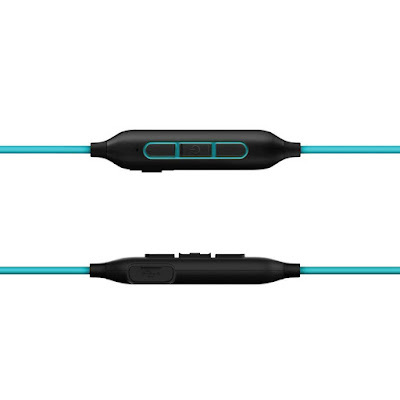 So it boils down to this, is the new 1More iBFree earphones worth your money? Well, it falls short for the ones those who prefer to stay in the bass-heavy environment. But it stands out in the vocals department, an audience that prefers solid highs and lows. However the price segment it's currently sold at as several competitors offering better value for money such as Brainwavz BLU 200, Infinix Quiet 2 Wired and if you ask me, I'll skip this product because I prefer the bass-heavy side. I'm eagerly waiting for the second generation of these earphones, are you too?. Let me know in the comments section below or on Twitter. Also See: Brainwavz BLU 200 review.